Get Hands-On (Literally) with Conductivity. 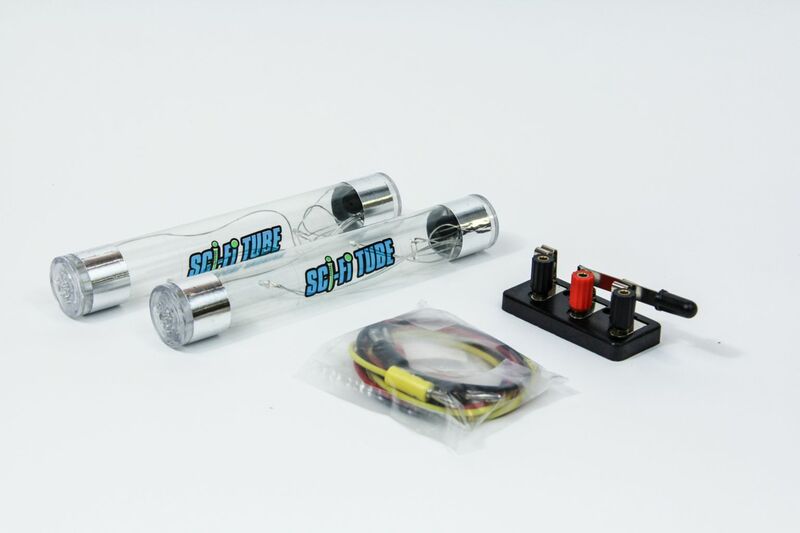 Interactive energy tubes are ideal for teaching students about open and closed circuits, conductors versus insulators, and light and sound waves. When you hold both ends of the energy tube, your body becomes the conducting material. The gap between the two metal electrodes on the tube is bridged and your body creates a closed circuit. The result is that the energy tube produces sound and red, green, and blue LED lights flash. Engage the entire class using the students as “wires”. Elevate this lesson by incorporating the included simple circuits kit and testing student-generated circuit diagrams. This kit includes enough materials to engage EVERYONE in the classroom- just hold hands. Ordering information: Kit includes two energy tubes, the simple circuits kit, and teacher’s guide.